We started off in week one by learning about our new value - Co-operation. The children took part in a co-operation game called 'pass the hoop'. The children all stood in a large circle and had to pass a hoop around the circle without breaking their hands. It was challenging but they did really well! We also read the story 'What the ladybird heard' and discussed how the animals in the story worked together to stop the robbers stealing the prized cow. 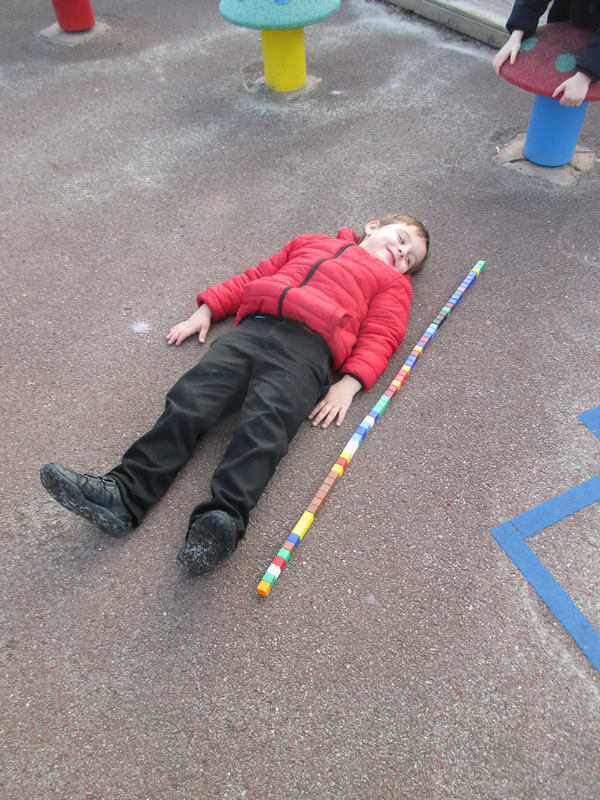 In Maths this week we have been learning about length. The children have been learning to compare objects and say which is the longest and shortest. The children have also been learning how to measure the length of objects using cubes. In their child initiated learning the children have been measuring how many cubes long they are. 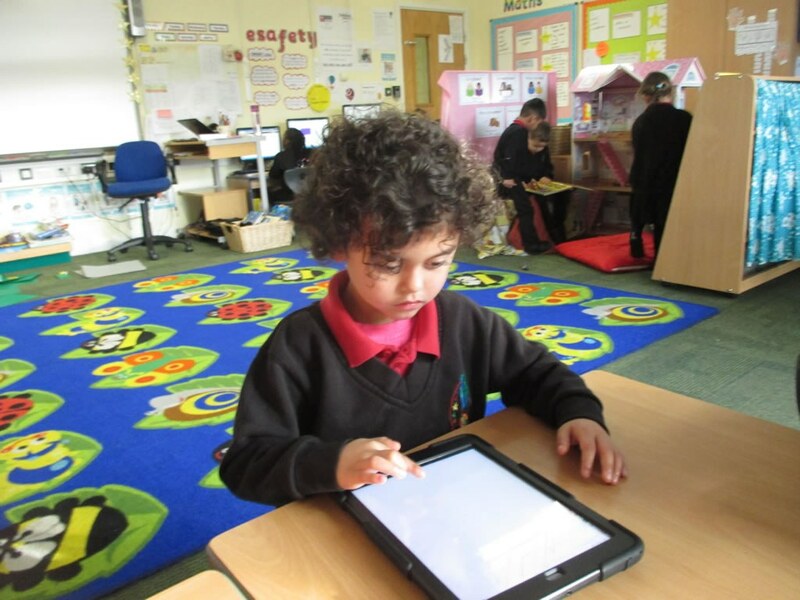 The children have also been exploring the Purple Mash App on the iPads and in PE the children have been experimenting with different ways of moving across the mats and benches. On Thursday we had a 'bring your bear to school' day! 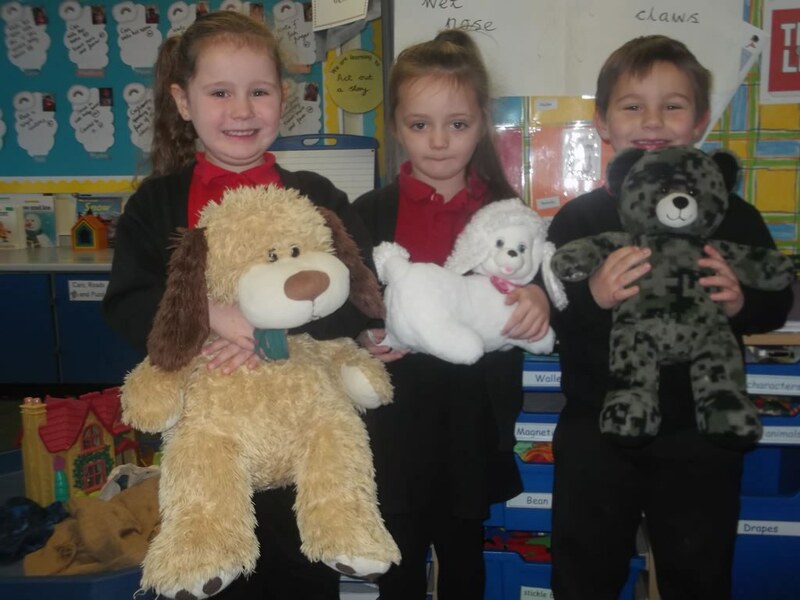 The children loved bringing their teddy bear/cuddly toy to school so they could take part in the day's activities. The children enjoyed designing a new outfit for their teddy and drawing pictures of their teddies. In Literacy we have been learning to describe the bear from 'We're Going on a Bear Hunt'. Some children managed to get our 'word of the week' into their writing which was ferocious! In Maths we have been learning to compare capacity. In their child initiated learning the children have been comparing how many spoons of rice or cups of water fill containers. 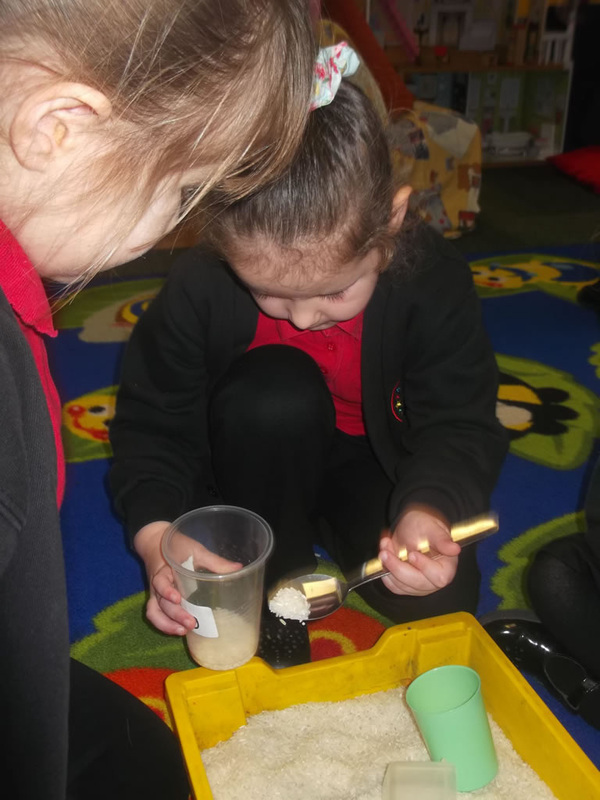 The children have been saying which containers have the largest or smallest capacity. On our welly walk this week we went on a bear hunt! The children walked through squelchy mud, walked on the crunchy leaves through the trees and looked for bear tracks! We eventually found a (cuddly) bear and brought him back to the classroom for some food and water. Lexi was awarded the Star award this week for always listening and trying her best. Well done! This week the children have been learning to describe a setting from the story 'We're Going on a Bear Hunt.' They loved writing about the narrow gloomy cave or the thick squelchy mud! In Maths this week the children have been learning to compare the weight of objects. They have been using language such as 'heavy' and 'light'. The children loved exploring the balance scales and comparing which objects were heavier or lighter. The children used clay to create bears this week. We can't wait to paint them next week! In their child initiated learning the children have been drawing scenes from our book and cutting out photocopied characters to stick on their pictures. Rahi was awarded the Achievement certificate for his amazing writing! Well done. 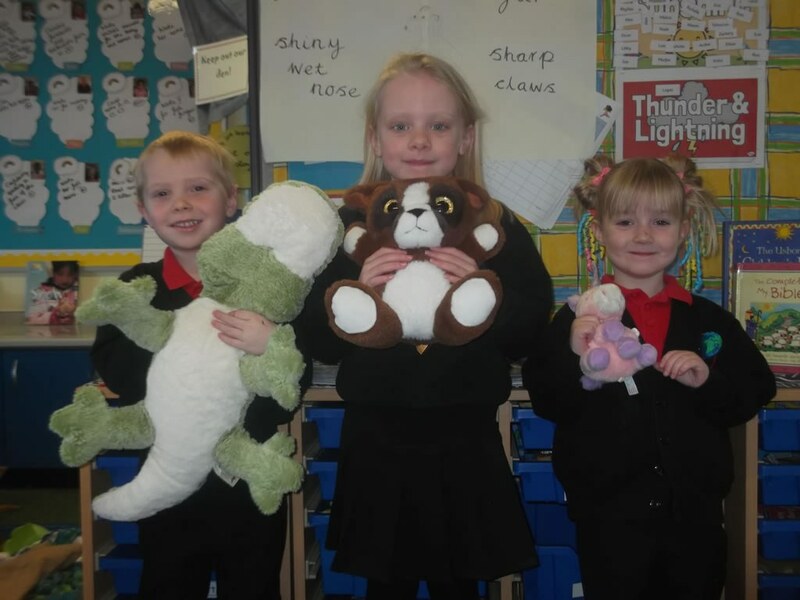 This week the children have been learning to find out facts about brown bears. We have been looking at and reading together lots of non-fiction books. In maths this week the children have been learning about place value by looking at the tens and ones in teen numbers. We have been watching Number Blocks episodes for the numbers 11 - 15 and the children have been making amounts using numicon and matching to number cards. 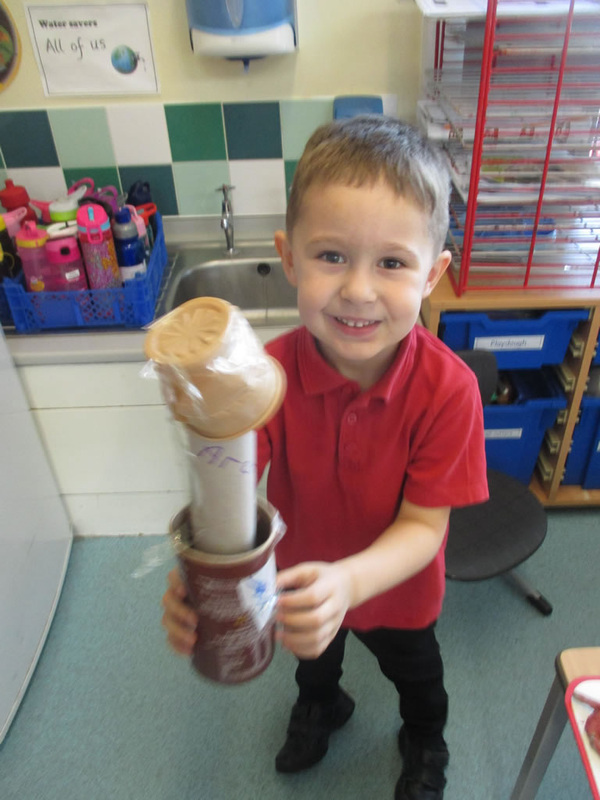 In their own learning time the children have been using junk to build new homes for bears. They have also been building dens in the outdoor area. On Tuesday we had safer Internet day and discussed how important it is to get consent from someone before you take or publish their photo online. We also talked about how to be safe online by asking an adult first if we can make purchases within games or receive friend requests within games or apps. It was great to have so many parents and carers attend our safer Internet day session! 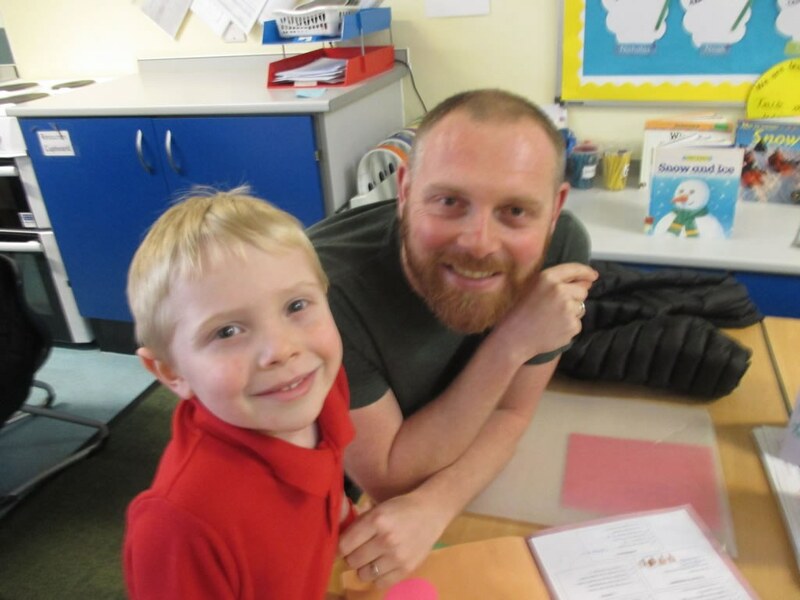 This week the children have been writing facts about grizzly bears. I have been really impressed with the facts they have remembered from the non-fiction books we have read! The children have also been learning to record what they can do in one minute and have explored using sand timers and stop-watches. We also looked at clock faces and talked about what o'clock times look like. The children discussed what they do at different times of the day. The children have also started thinking about our role play area for next term as our topic is 'Fairy Tales and Traditional Stories'. The children have chosen to have a castle! Have a lovely half term break! See you back on the 25th February.